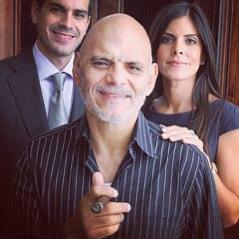 In 1959 the Perez-Carrillo family fled from Cuba to Miami, Florida. The move was supposed to be temporary. Ernesto Sr. had every intention of moving his family back once the political climate stabilized. While in Miami, Ernesto Sr. needed work and turned his skill set into a job…making cigars. Nine years later Ernesto Sr. had saved enough to purchase a small cigar factory (named El Credito) in Little Havana. His son, Ernesto, grew up working alongside his father but initially hoped for a different path. Determined to be a jazz drummer, Ernesto moved to New York City at the age of 25. It was in 1976, when Ernesto Sr. considered selling El Credito that Ernesto realized that creating cigars was his ultimate calling. Ask him directly about it and you will find it was a path of self-discovery. As true of most cigar companies, there is no such thing as an overnight success…and E.P. Carrillo is no exception. It takes a tremendous amout of hard work. With the creation of the La Gloria Cubana the overnight success (that was years in the making) started to gain traction. As popular as this cigar was, it didn’t take off nationally immediately. But this changed in 1992. In 1992, a fairly new-to-the-scene cigar magazine called “Cigar Aficionado” gave E.P. 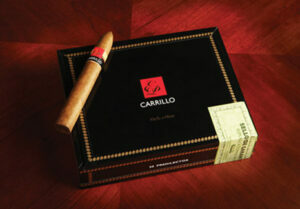 Carrillo a big boost…scoring 4 out of his 9 cigars a 90 or higher. In 1999, Swedish Match purchased El Credito. 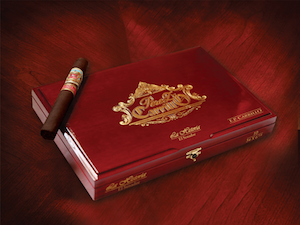 The La Historia cigar line was released by EP Carrillo to share the story and honor the history of The Perez-Carillo families. It created it’s own history by being named the #2 Cigar on the Top 25 List of 2014 by Cigar Aficionado. We invite you to stop by Nottingham Cigars and Pipes to try one today!